Seeding and strawing can be great for many different applications if used properly for your property. 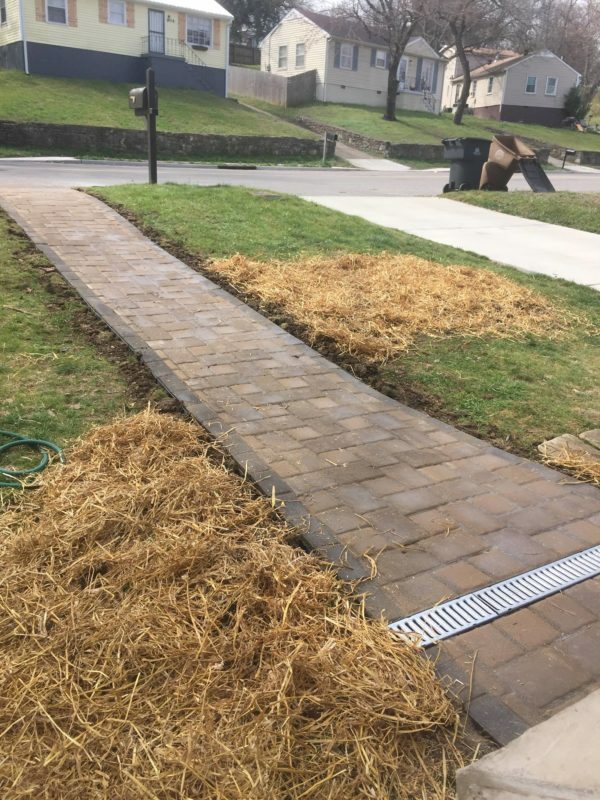 The biggest advantage to seeding and strawing is its low cost of installation compared to other alternatives like sodding. The beginning processes of seeding and strawing are much like the processes of prepping for sod, in fact it’s exactly the same when looking for optimal growth for your grass. The ground needs to be inspected for quality to see if any topsoil or sand needs to be added before product installation. The ground is then tilled to make a good seed bed and the type of seed is chosen; there are many types of grass seed that are available to be put down and seed can be requested or recommended by us. After the seed is spread we go back and spread straw over seed to help keep moisture close to the ground to help with seed germination. The best times to seed and straw are fall and spring to get the best growth before the extremes of summer or winter. We also put down straw mats in areas where water flow is an issue to help prevent erosion and loss of straw and seed from areas to help with an even growth. As previously stated seeding and strawing can be good in some applications but usually is not your best option for a lush lawn. Seeding is mostly recommended for general areas as it can not handle foot traffic for many months after installation. Seeding also will need much more water to help keep the ground wet as compared to sodding, where the price for water isn’t as cheap as it used to be.